I still remember the day I bought Cooking Mama for the Nintendo DS. It was a hot September afternoon in the Bay Area. My best friend at the time and I visited the Best Buy in Sausalito and each purchased a copy. Giggling like the schoolgirls we were, we rushed back to her place, popped it into our handhelds, and spent the next few hours trying to adjust to the quirks of the touch screen controls. It was shallow, God was it shallow, but it was also one of the more interesting and gosh darn fun mini-game collections I’d played. Something happened after that. I stuck with Mama for a few more games on the Wii and DS, but that lightning-in-a-bottle magic was gone. Even though I believe Cooking Mama 2: Dinner with Friends is inarguably a better game than the first, it just didn’t hit me the same. Something in me must have changed; perhaps I’d outgrown the sweet simplicity of the series. I didn’t pick up another Mama game after that assuming my ability to enjoy them has subsided. Nearly a decade later, I want to see if that is the case with Cooking Mama: Sweet Shop. When I made note of my experience with Cooking Mama: Sweet Shop to my fellow Destructoid writers, the first response received was, “There’s a new Cooking Mama game?” I imagine that was many of yours first response as well when you saw the headline or Twitter post and I am here to tell you that yes, there is a brand new Cooking Mama game for the Nintendo 3DS. With Majesco no longer in the video game industry, Rising Star Games has stepped up to the challenge of selling a series people have plumb forgotten about. It has been years since my last encounter with Mama, but in the first moments of the game, I realize I am in well-charted territory. Not much is different outside of cosmetic changes. Mama has a less exaggerated tone, no longer sounding like a 1960s whitewashed Hollywood version of a Japanese woman. Her appearance is quite bright and the colors on my New 3DS XL screen lack the vibrancy I remember from her earlier games. 3D models accentuate Sweet Shop’s low-budget atmosphere more so than the static artwork of the past. The various, though not varied, customers who visit my eponymous sweet shop only add to that thrift-store feel. Perfect scores in the recipes are not hard to come by. Sifting flour, mixing ingredients, cutting, slicing, dicing, and baking are all activities I am acquainted with from previous games. Actual cooking hasn’t changed much and as such, neither has Mama. Sure, she could dabble in molecular gastronomy, but part of the series’ charm has always been its simplicity. Each dish is still broken up into quick mini-games that have me completing different steps of the recipe with each individual task scored upon completion. 10 years on, it’s as simple as ever. That simplicity could be why the series has fallen from its once-profitable podium. As I cook my way through every recipe in the game I realize I can see little difference in the mini-games that create these dishes and those I completed a decade ago. The touch screen is more responsive to my various actions and some activities, such as breaking eggs, have been slightly modified, making them less troublesome than before; but as I whip, dip, and flip I cannot find what sets this apart from the $20 game I bought that sweltering day in September or the free-to-play app that is on my phone right now. This is a series ignorant of the medium’s natural instinct to evolve and still I play, its low fidelity charm beckoning me onward. Charm is only able to carry so much of Sweet Shop and the shop is where it fails to move me. After I complete a recipe, I am able to sell my goods in my little bakery. It’s a simplified version of what is found in the app I mentioned above. I need not worry about supply as my stock never runs out. Interchangeable customers enter my store, wander around aimlessly until they find a dish they like, and purchase it with cash I spend on new outfits for Mama and décor for my kitchen and place of business. It’s a necessary and equally superfluous addition, arguably the sole reason for the game’s entire existence. Beyond giving me cash, the shop also is the means of opening up other bakeries around the world that give me access to new recipes and are home to individual timed mini-games. These games are no more or less fun than the standard activities I complete to create my recipes, but they are unique enough that I find myself replaying them trying to get my high score up. This alone is enough to push me back into my boring little shop, tapping on customers to collect their cash as I wait for the next location to become available. 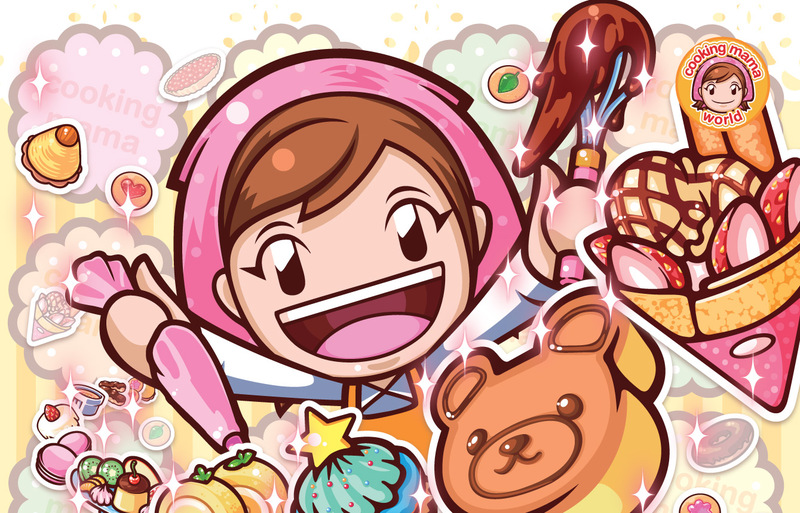 Cooking Mama: Sweet Shop’s sum is greater than its individual pieces. Arguably, that’s how the series has always been. Any of the elements I list above is more than enough reason for you not to buy it and me not to recommend it, yet I sit here ready to do so. Cooking Mama: Sweet Shop isn’t a bad game if you like Cooking Mama games. It’s par the course for the franchise. 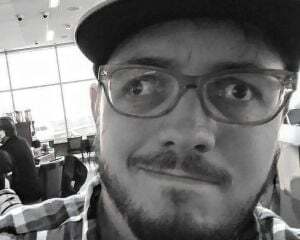 On the 3DS, it’s a dinosaur, a glimmer into the bygone era when developers were drowning in a sea of casual cash that filled Nintendo’s Blue Ocean. There is a certain type of person who is going to enjoy this, and Cooking Mama: Sweet Shop has the good fortune to arrive at a time when I write for Destructoid, a man whose basic enjoyment of video gaming is such a low bar to hurdle that it can essentially get a pass other writers probably wouldn't give it. I like the game, warts and all. Objectively, you should be able to tell for yourself it shows nary a whisper of growth or innovation since the series’ debut. Subjectively, I’m somehow that giggling schoolgirl once more, fawning over a cake I just mini-gamed into existence.